Framed by towering shade trees and beautifully manicured grounds, our Quality Inn in Macon, GA welcomes both leisure and business travelers. Delight in well-appointed guestrooms at reasonable rates, friendly service, and an array of amenities to make your stay with us a pleasurable one. 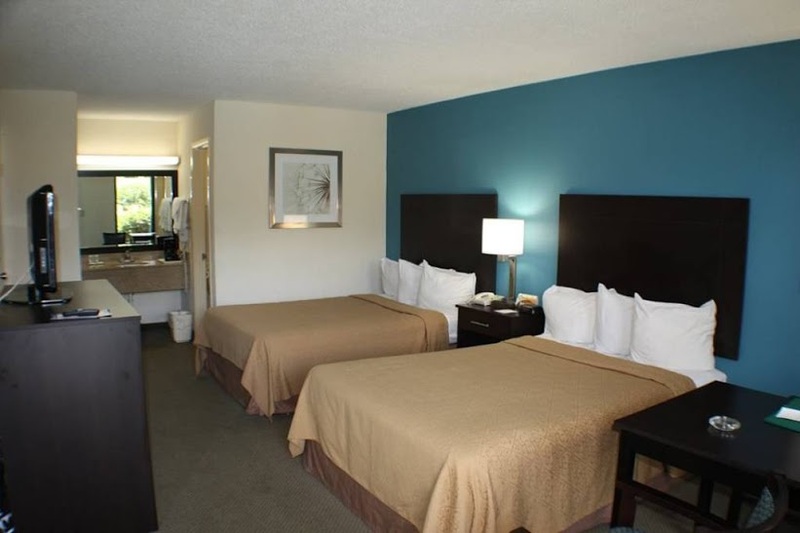 A convenient location puts the area's most popular attractions along with Hartsfield-Jackson Atlanta International Airport within easy reach. And every visit is backed by our 100% satisfaction guarantee. Stylish, immaculate, and designed with your comfort in mind, each of our 100 guestrooms features ample amenities and With exterior corridor access. Discover free Wi-Fi, refrigerator, microwave, and satellite television. Pet-friendly rooms are available. Start your day with our complimentary deluxe continental breakfast. Enjoy biscuits and gravy, pastries, cereal, and fresh fruit, or make your own fresh golden brown waffles.